Deryck Gruber is the owner and home inspector of Guardian Home Inspection Services LLC. Over the past 22 years, Deryck has completed more than 7,000 home inspections. 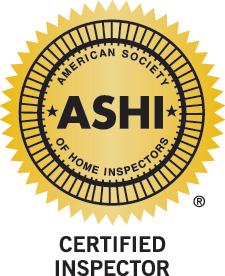 Deryck’s professional experience and unwavering commitment to quality has led him to become one of the most respected home inspectors in Southwest Michigan. When Deryck sets foot on a property, you can trust him to take his time— thoroughly evaluating each area of the home so that you’re given all of the details you need in order to make an informed decision about a purchase. Before he began his career as a home inspector, Deryck had already learned a great deal about home construction. Deryck’s diligent work ethic has always been an integral part of his character, and from an early age, others took notice—allowing him to secure steady employment with a builder as a young adult. Deryck helped to build homes from the ground up, and in the years that followed, he went on to rehabilitate and remodel a variety of homes in the local area. This experience fueled an ongoing passion for home construction that paved the way toward Deryck’s now 22 years as a professional home inspector. When he’s not inspecting homes, Deryck loves to spend time with his family. He enjoys the outdoors, frequently going hunting, fishing, and boating. Deryck also loves to go out and listen to live music as well as volunteer in his community. Deryck helps to organize an annual car show that raises money for research into a cure for cystic fibrosis. At Guardian Home Inspection Services LLC, our unbiased home inspections will provide an honest and accurate assessment of your prospective investment so that you can determine if the home holds up to your expectations. Contact us today to request an inspection.